We just finished decorating for Christmas over the weekend and I wanted to share this fun craft that I made for our kitchen. It was so easy, that I was able to do it in less than 15 minutes and for under $3! 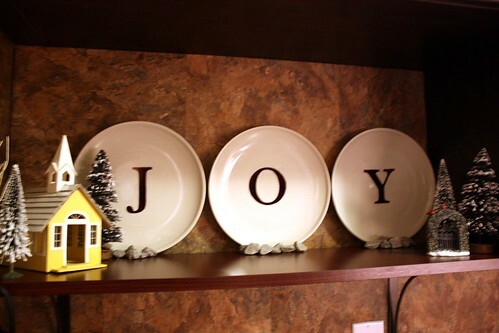 The inspiration came from these “JOY” plates that I saw on Better Homes and Gardens and I knew I could make them to work into our Christmas decor. 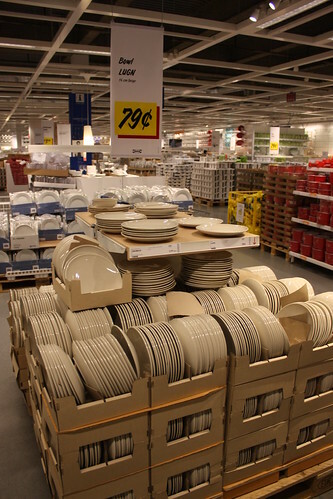 While on our trip to IKEA last month, I found these simple plates for $0.79 each and grabbed three. 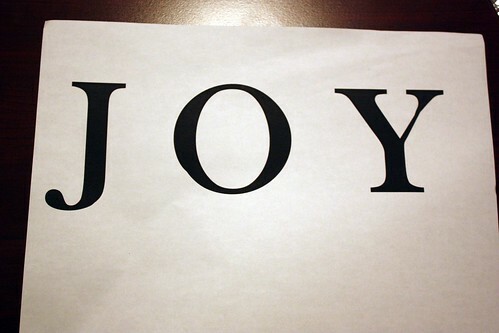 I found a font that I liked on Microsoft Word and printed out J-O-Y in big letters on simple white paper. 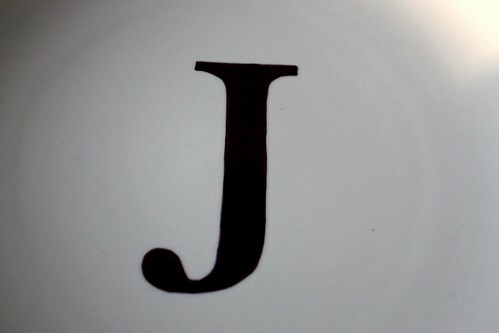 After carefully cutting the letters out, I used double-sided tape to stick the letters to the center of each plate. 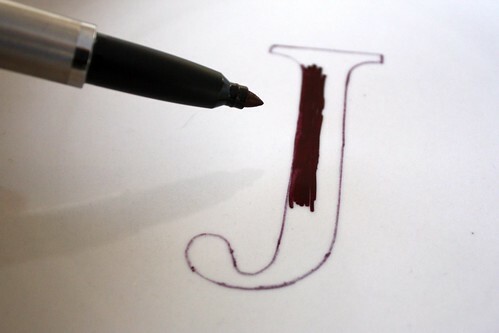 Using my favourite super fine black Sharpie marker, I carefully traced the letter and then removed it. I used a fatter Sharpie to fill in the letters. Ta-Da! 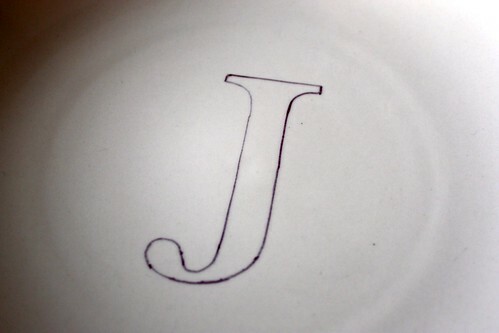 So easy and it looks like it has been perfectly printed on the plate. 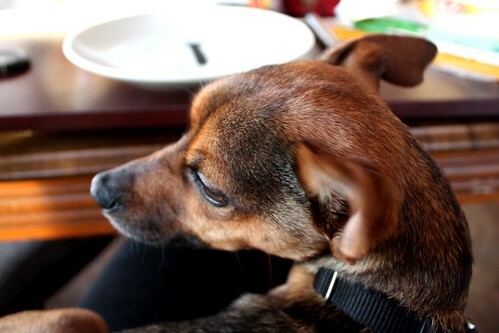 Its so easy that I even did it with the mutt on my lap. It was a miracle that I didn’t make any smudges….but if I did I could easily have wiped them off with a tissue right away and then continued on. I love how they turned out! And the best part is that this little project was ridiculously inexpensive. The plates cost me less than $3 and I already had the markers. I placed the plates on our new shelf in the kitchen and helped keep them in place with some stones. The little church on the left is a village set that I’ve been working on for the past few years (but have yet to finish). I love looking up at this while cooking dinner or doing the dishes. 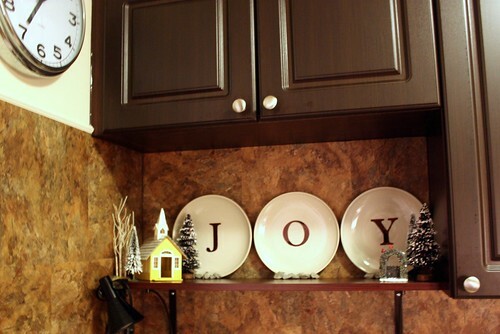 It brings a festive little touch to the kitchen! I’m happy to have them there now, but I might even hang them up on the wall next year using some plate hooks. 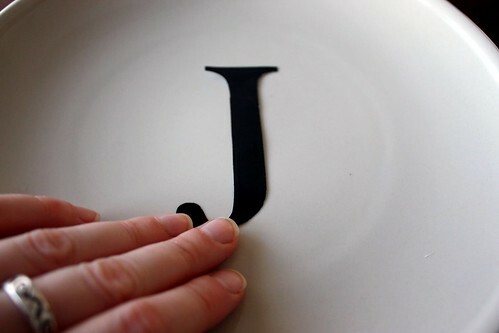 Very Nice…I might try this with my Cricut! Thanks for the idea! I think I will do this on the shelves in the dining room! These are so simple and SO pretty! I love it! Would love for you to link up @ Find Your Craft Friday over on my blog… Have a great Friday!